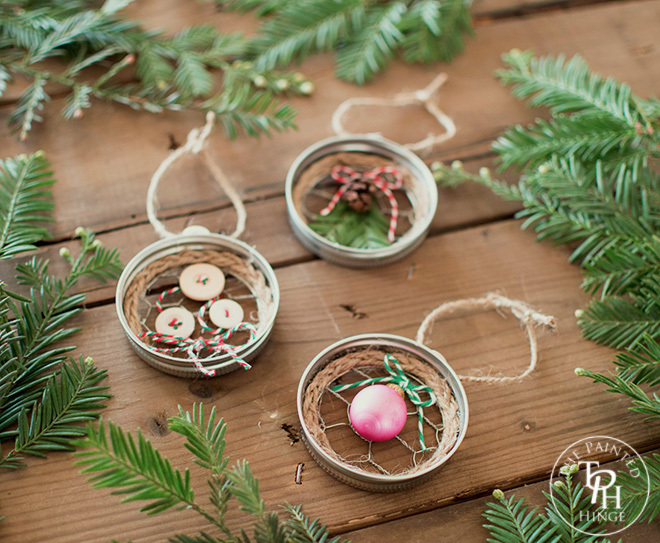 They are really simple to make the “base” ornament, and there are endless possibilities of how you can decorate them from there! I decorated mine three different ways, and I’ll give you some ideas on what else you can use to make them fit your own personal style! 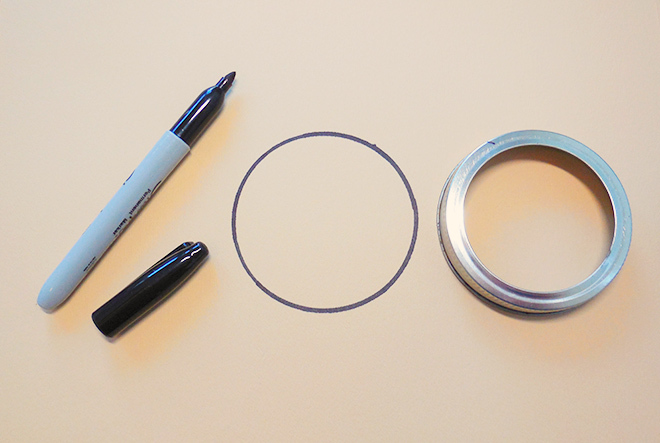 Trace a circle along the outside of the mason jar lid. 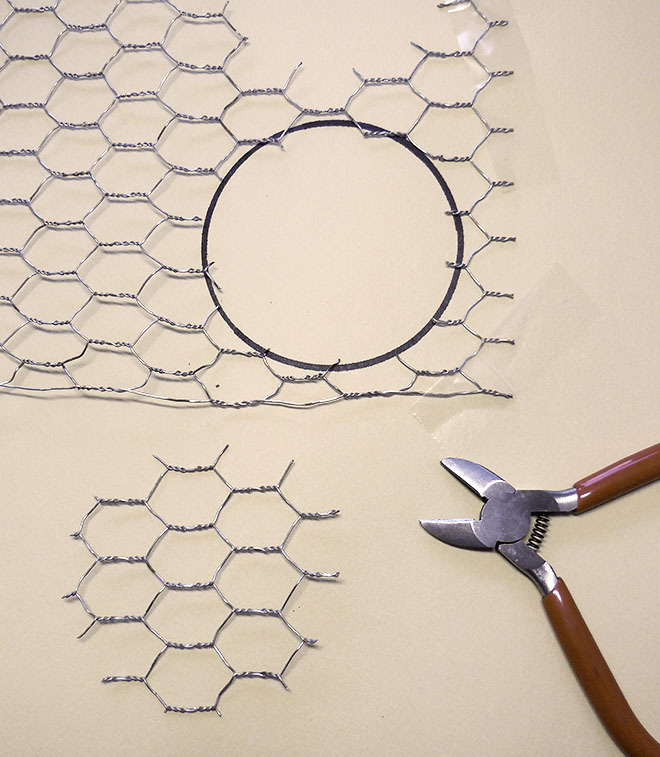 Flatten out the chicken wire, place on top of the circle, and cut the chicken wire along the inside of the circle. 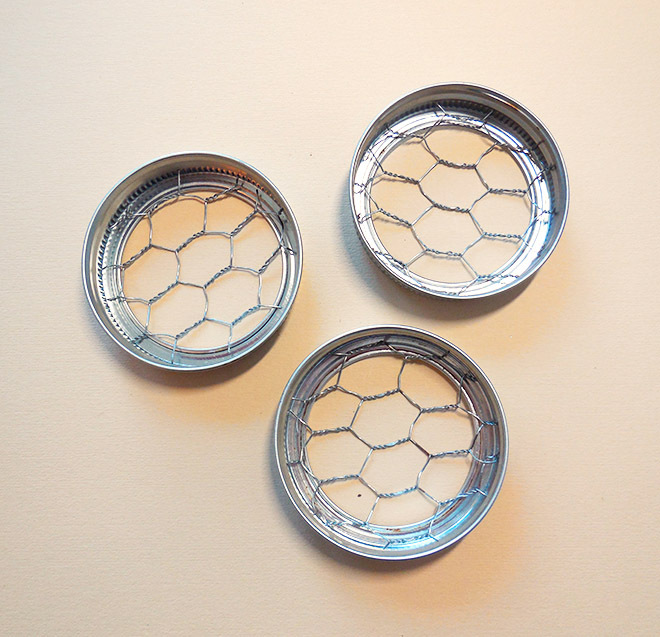 Press the chicken wire into the mason jar lids and adjust by clipping and/or bending it to fit. 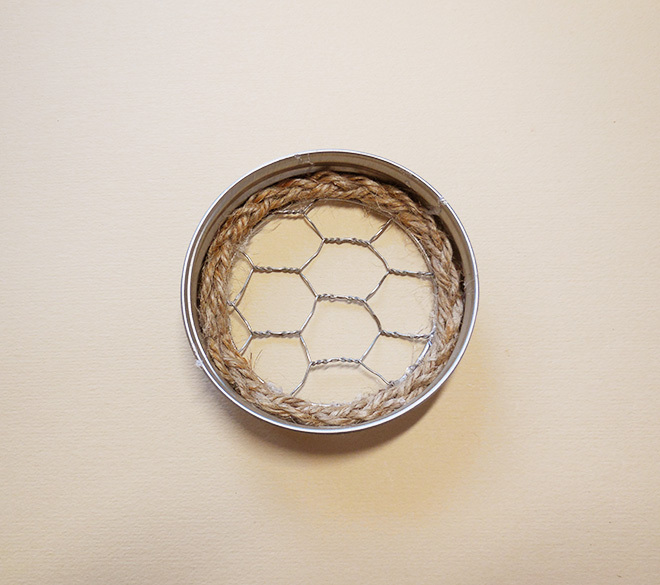 Braid 3 pieces of jute twine together and glue onto the inside edge of the lid. 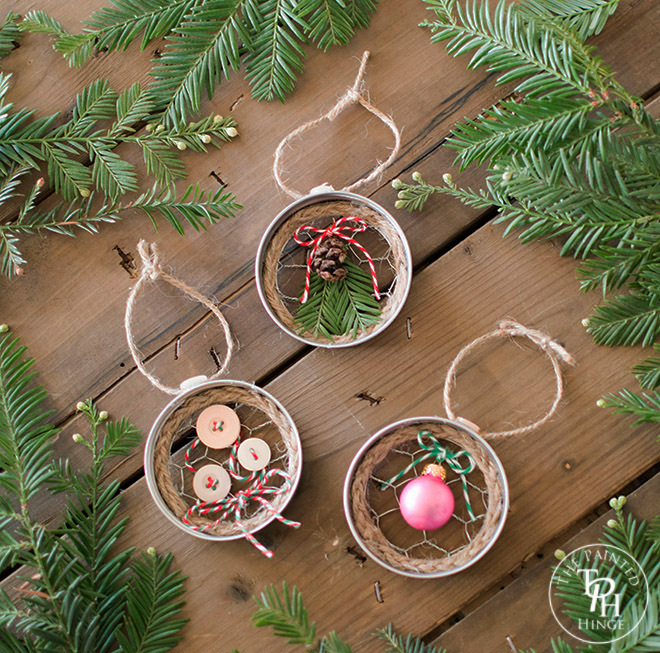 You can also use a thicker piece of jute twine, ribbon, faux string of pearls, beads, etc. 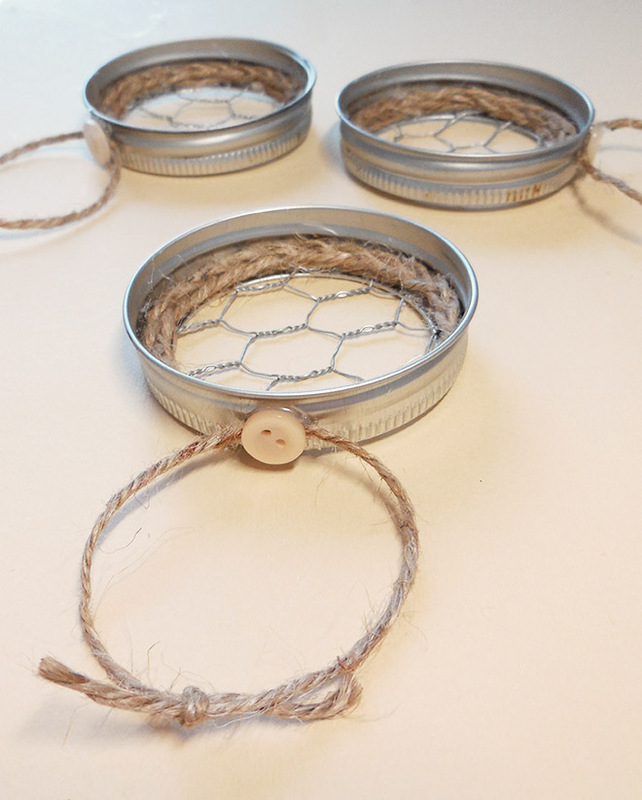 Tie some jute twine in a loop and glue on the top of the mason jar lid. You can also use ribbon, baker’s twine, pearls, yarn, etc. I glued a button on top of where I glued the twine on the lid to give it a more finished look. I hope you enjoyed this ornament project! What ideas did you come up with to decorate them? Let me know in the comment section below! Thanks so much Tianna! ? 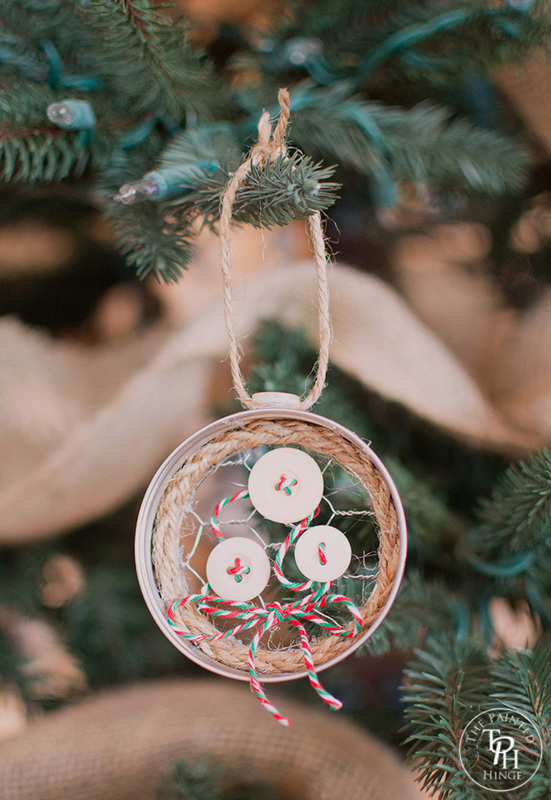 Okay, I’ve seen other mason jar lid ornaments, but none with chicken wire and I love these! 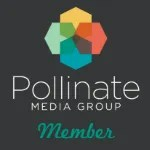 Pinned & tweeted–thanks for sharing @Vintage Charm! You’re welcome Cecilia! Thanks for sharing this on your social media and thanks again for hosting Vintage Charm! These are adorable! 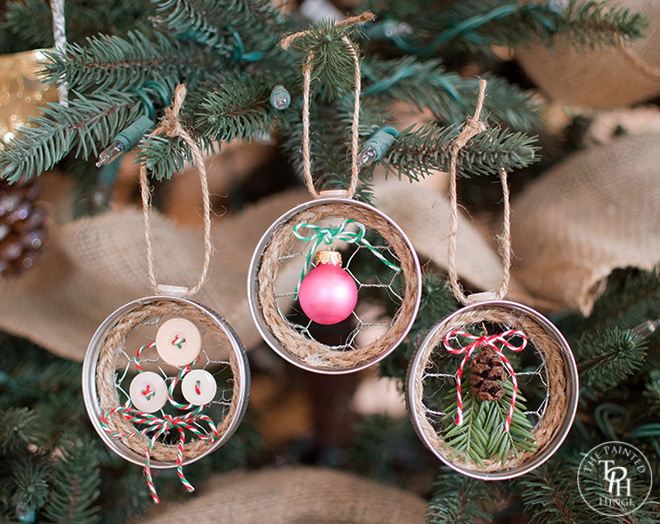 I’ve seen the Mason jar lid ornaments before, but I have never seen any used with chicken wire. I love this idea they are so cute! Canyon find you other ideas on how to decorate the chicken wire ornaments. These are the cutest things. Thank you for showing us how to make them. I have made a couple but having problem with the glue showing on other side. Not sure how to make neater looking. How does back of your look? Hi Gwen! ? If you are gluing the braided twine to the lid with hot glue, you do not have to use much glue at all… just a few little dabs around the lid will do it. I hope that helps and let me know if you have any more questions. ? Michelle, These are adorable! I’m so glad you went ahead and shared them. 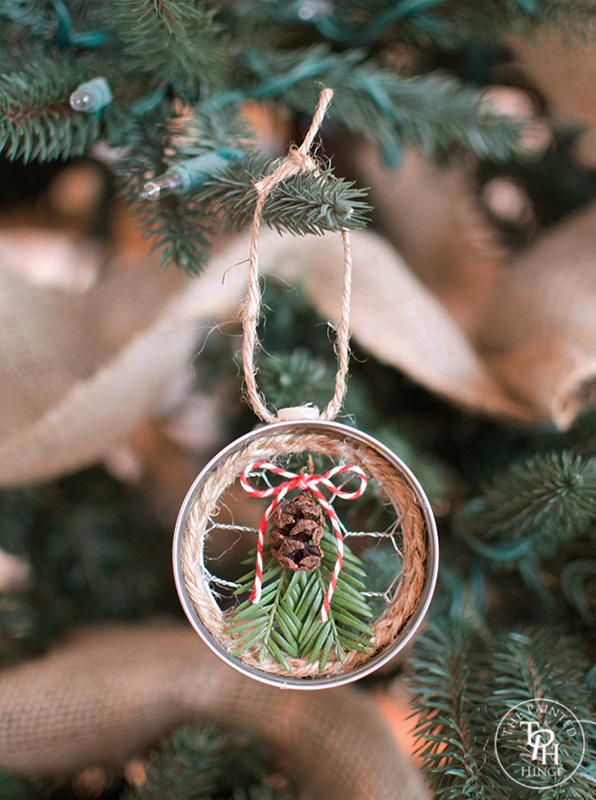 I’m working on doing a diy ornament roundup and am including these. I hope that’s okay!! Yes it’s okay! 🙂 I’m happy you like them and thanks for including them in your roundup! You’re a genius! This is one of the cutest ornaments I’ve ever seen!! Great craft. I will make several of these for each grandchild as Christmas presents for their trees.